As a Realtor you may have heard about Quick Response or "QR codes" and how they are the next BIG Thing in Real Estate marketing. However, if you haven't yet figured out a drop dead simple way to incorporate them into your marketing Loop Photography is here to help. Every Loop Photography Virtual Tour includes free QR Codes to all versions of your tour. Place your QR Code on sign riders, brochures, business cards or even bus stops. QR Code readers are freely available for all smartphones. Many smartphones have QR Code readers pre-installed and those that don’t can easily download them through their app store. When a prospect sees your QR Code they simply take a picture of the image and are immediately taken to a web page showing your listing and contact information. 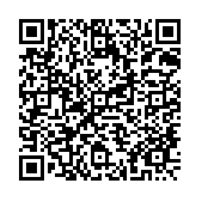 Go ahead and scan the image attached to this page with your smartphone to see just how easy it is. Always on the cutting edge, first with Full Screen HD Virtual Tours, now Loop Photography is thrilled to offer the first Virtual Tours specifically formated for almost all major mobile phone browsers. The possibilities here are great. Put your Virtual Tour's web address on a yard sign rider or flyer, potential buyers view all the beautiful images of the home while right outside in their car. 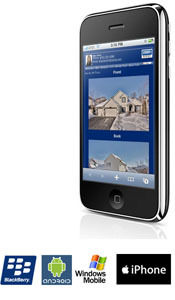 Once their interest is piqued your Virtual Tour gives them two easy ways to contact you, phone or email. Offering the highest quality images and most advanced technology in the business, Loop Photography continues to lead in the Virtual Tour industry. For years Loop Photography has provided Real Estate Photography and Virtual Tours in Minneapolis, Minnesota and the surrounding Twin Cities metro area.